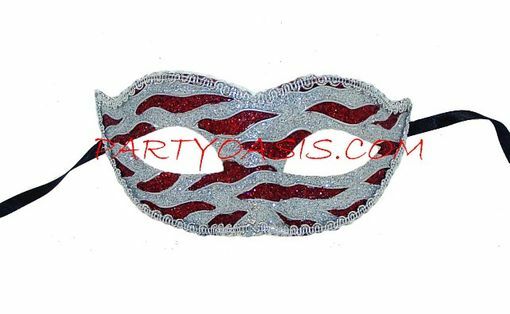 Inexpensive party mask beautifully decorated with a glitter wavy design. Easy fit, made out of a lightweight plastic core. Perfect for a masquerade themed prom night or great accessory to any red & silver themed costume.